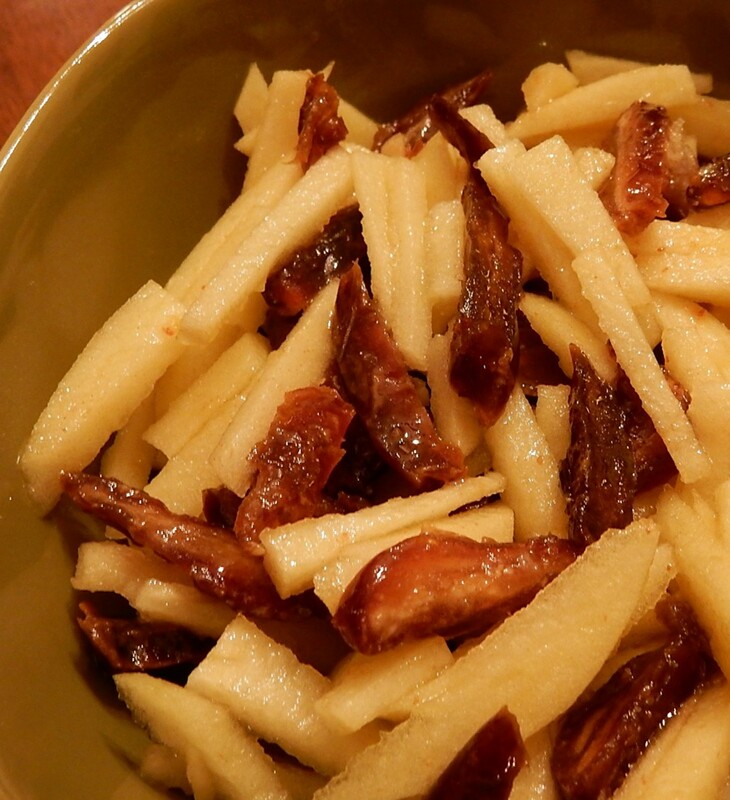 Posted on March 4, 2018 March 3, 2018 by SherylPosted in FoodTagged apples, dates, recipe, salad. Previous Previous post: Does it Insult the Cook if You Salt Food on Your Plate? Must try this. I have a glut of dates. Thanks. I think that you’ll enjoy it. I really liked this salad. This recipe is definitely worth a try. I enjoyed it. I think I might add some toasted pecans or walnuts, too. mmm. . . nuts would be good with this. That sounds delicious and easy. It was. Simple recipes are often the best. Great combination! I would probably add a bit of chopped celery to it. The addition of celery would make it a bit more like a waldorf salad. It’s a very nice salad. I know John would love it. He is crazy about apples and raisins. Dates and apples .. it’s got to be good! Love your photo of the salad. Thanks! This recipe is excellent. It’s definitely a recipe that I plan to make again. Apples and dates in plentiful supply at the moment so I may give this a try tomorrow. Wow, this sounds delicious. I can’t wait to try it. What variety of apple did you use? I used Braeburn apples, but any firm apple that has notes of sweet and tart would work well. Thanks for the tip. Dates are so tasty. I’m never quite sure whether dates can be considered healthy snacks (and I don’t need to worry about how many I eat); or whether they are a sugar-laden snack that I need to be careful about. Looks great! 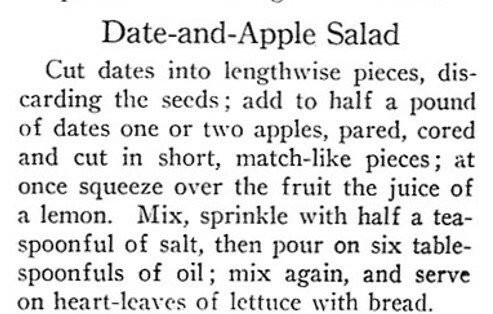 I’ve never thought of mixing apples with dates, but I think I might just try this. This recipe turned out nicely. I think that you’d like it. I must try this ,looks yum!! My kind of salad. Thanks for sharing.